After weeks of insinuating that Nicolas Maduro’s ouster was imminent, Washington now insists that there’s “no timeline” for regime change in Venezuela. RT looks at how the US’ best laid plans haven’t panned out. When Vice President Mike Pence released a video statement in January pledging full US support for Juan Guaido’s claim to the Venezuelan presidency, many assumed that an operation to install the opposition leader in Caracas was just around the corner. But more than a month later, and with Maduro still firmly in power, Washington seems to be out of ideas: Not only has the US failed to deliver its “humanitarian aid” to Venezuela, but Washington’s allies have unanimously ruled out military action. When US President Donald Trump and other senior White House officials earlier bragged that “all options are on the table” for Washington’s regime change objective in Venezuela, it has to be assumed now that one of those options included a devastating cyber sabotage of the country’s power infrastructure. For its part, the government of President Nicolas Maduro is convinced that the US is waging an “electrical war” and is behind the latest power outages. Washington and its anointed Venezuelan opposition figure Juan Guaido claim that the disruption is the result of “incompetent management” of the country by Maduro’s socialist government. 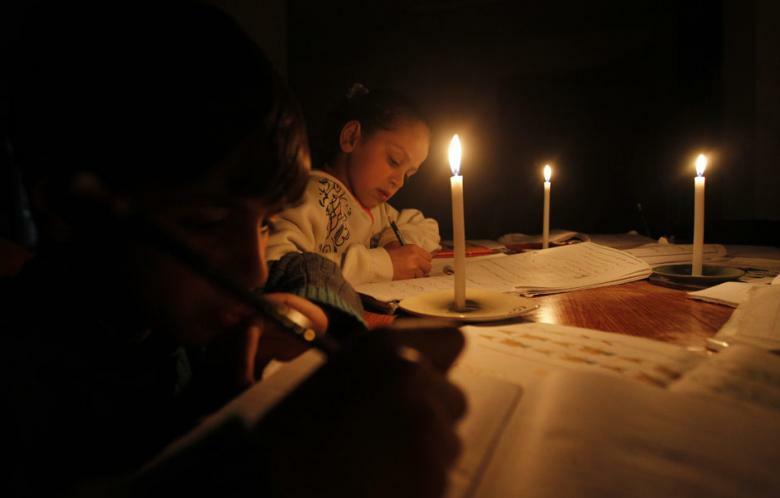 Venezuela’s 31 million population is reportedly used to the inconvenience of frequent power cuts. The country’s economic turmoil over recent years due to declining revenues for its oil exports as well as — perhaps the main factor — US sanctions, has hampered normal administration, thus leading to recurring power outages and other consumer shortages. However, the scale of the latest blackouts indicate an unprecedented damage to the country’s power infrastructure. In parallel with the continuing large-scale disruption of the Venezuelan electricity industry, supporters of the current government and the opposition of the country hold numerous rallies. According to local observers, the political crisis in the Bolivarian Republic has all the signs of a protracted social conflict. The question is whether the scale of social conflict will remain manageable, and whether the authorities, led by Maduro, will continue to maintain the support of the majority of the citizens, which he presently enjoys. That the recent acts of terrorism and/or sabotage of Venezuela’s electric grid were viewed as acts of foreign aggression, this has galvanized the public and apparently pushed undecided sections of the populace over to the pro-government side. This is according to FRN’s sources on the ground. The underlying dynamic revealed by these sources was previously demonstrated in the case of Syria. Although on a tremendously greater scale, once the violence in Syria was demonstrably foreign or foreign instigated in nature, Syrians increasingly rallied behind their present-existing civilian government, which was viewed as a guarantor of stability. Likewise, the authorities, led by President Nicholas Maduro, linked their actions with the struggle of the Venezuelan people against “American imperialism”, led by the United States. Venezuela shuts schools, businesses amid blackout duurt 10 minuten. Max Blumenthal: Report From the Real Venezuela duurt 37 minuten. A major blackout in Venezuela has led to the shutdown of the nation’s main export terminal and several heavy crude upgraders operated by PDVSA. US sanctions have already severely impacted oil operations, leaving cargoes stranded off the coast as well as leaving ships idling in the Gulf of Mexico unable to complete sales to US buyers. However, Venezuela has entered a dangerous new phase, with an electricity blackout gripping most of the country. Crude supplies from Venezuela are at risk of falling sharply and becoming a challenge for the world’s oil market, the International Energy Agency (IEA) warns in its monthly report. “Although there are signs that the situation is improving, the degradation of the power system is such that we cannot be sure if the fixes are durable,” the IEA said. At least 60 people had received special paramilitary training in Colombia and half of them have allegedly already infiltrated Venezuela, following the failed attempt to bring in the so-called humanitarian convoys from the US on February 23. “At least 30 paramilitaries hired from El Salvador, Honduras or Guatemala –trained in Colombia– entered Venezuela. We are looking for them. We have already identified some,” he said on state television, showing screenshots from Marrero’s phone as proof and accusing the US of running the operation. Chinese army arrives in Venezuela? Dit artikel geeft een uitgebreid overzicht van de black outs. De vraag of er sabotage in het spel was, wordt daarmee beantwoord: ja, wel degelijk!